Selznick, Brian. Very Good. 48 p. Chiefly col. Illustrations. Intended for a juvenile audience. 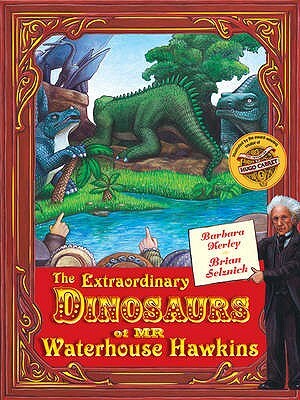 In the mid-nineteenth century an artist named Benjamin Waterhouse Hawkins had one ambition: to show the world what dinosaurs lookd like. His astonishing life-size models impressed the Queen and wowed the crowds at the famous Crystal Palace exhibition. This intriguing true story will captivate readers of any age. Selznick, Brian. Good. 48 p. Chiefly col. Illustrations. Intended for a juvenile audience. In the mid-nineteenth century an artist named Benjamin Waterhouse Hawkins had one ambition: to show the world what dinosaurs lookd like. His astonishing life-size models impressed the Queen and wowed the crowds at the famous Crystal Palace exhibition. This intriguing true story will captivate readers of any age.